As we celebrate the arrival of longer days and hotter nights, we're pleased to share Variance's new quarterly Mixtape to soundtrack all your summer shenanigans. 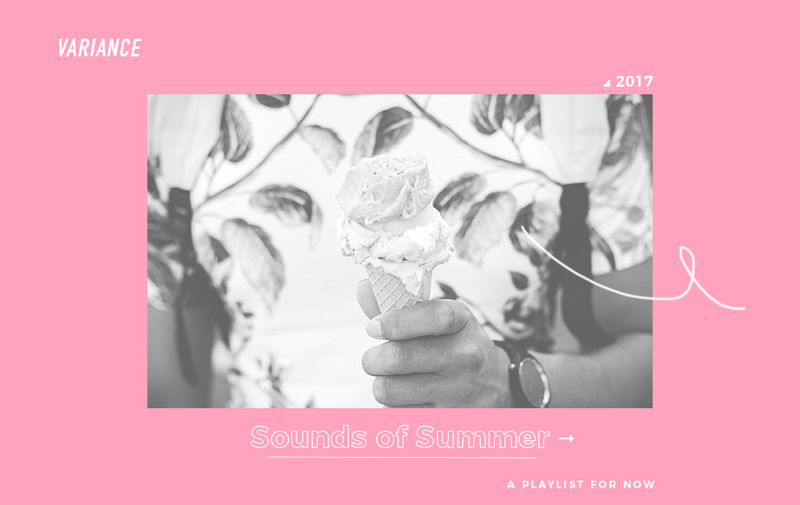 Like in past seasons, the Sounds of Summer '17 playlist is a handpicked collection of new music we love and selections from dozens of artists recently by Variance. It's a stealth combination of the newest, freshest tracks and some of the most buzzworthy indie and mainstream sounds we simply can't quit right now. This latest installment, which is now on Spotify, features new music from favorites such as Lorde, Majid Jordan, HAIM, DJ Khaled, KYLE, The Killers, SZA, Lido, THEY., DeJ Loaf, Vince Staples, Arcade Fire, Lauv, Oscar and the Wolf, Calvin Harris, Halsey, ODESZA, RY X, RAC and St. Lucia, as well as emerging acts like Zack Villere, Jerry Folk, The Federal Empire, Croosh, Terror Jr, Sabrina Claudio, Nylo, DYLN and many more. Hear the full playlist below and follow it on Spotify, as we'll add to it.